Beautifully illustrated Cú Chulainn jigsaw puzzle. 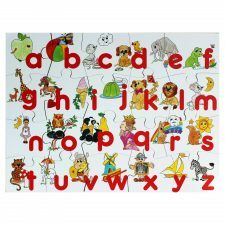 This 100 piece jigsaw puzzle depicts the boy, Setanta, playing with his hurl and sliothar, and the Irish Wolfhound looking on. The story of how Setanta got the name of Cú Chulainn is printed on the back of the jigsaw box. Suitable for boys and girls, age 6+ years. 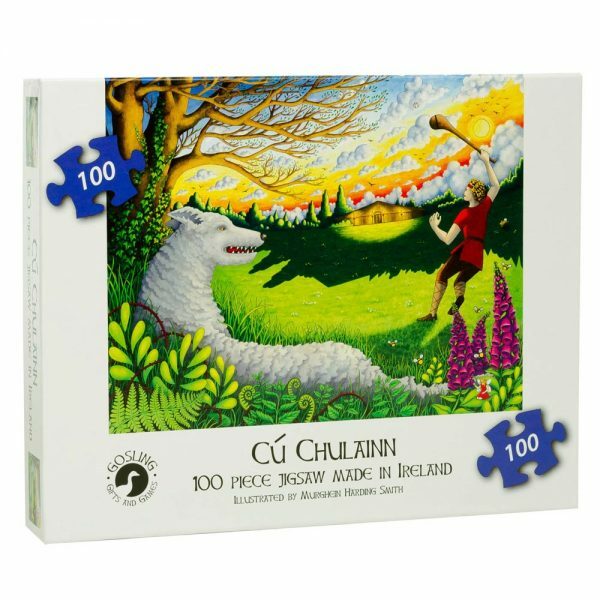 Fantastic 100 piece Cú Chulainn jigsaw puzzle. Perfect for ages 6 years up. 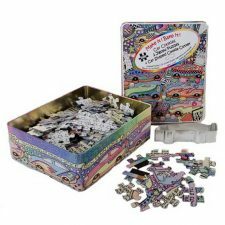 Great Irish Gifts – Irish puzzles, created by Gosling Games, Co. Cork, Ireland. Illustrated by Murghein Harding Smith. Cú Chulainn puzzle, Irish Legend jigsaws made in Ireland.